I hope you had a wonderful Halloween party. Autumn isn't over,so I have a few things to share. 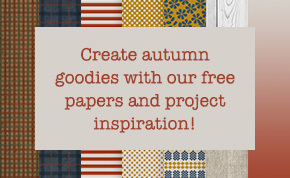 If you are working on autumn projects, then check out the new FREE digital papers from Sizzix. They are amazing for autumn projects or male creations. Check it out, over here. Thinlits and framelits are some of my favorite dies to work with. If you want to save some money and get some special goodies before Christmas holidays,check out the 80% sale over at Sizzix. I really like these three cards from Kelly. I used them as inspiration to create my own card. And here is my final card....I think the result is pretty amazing. I simply love it! 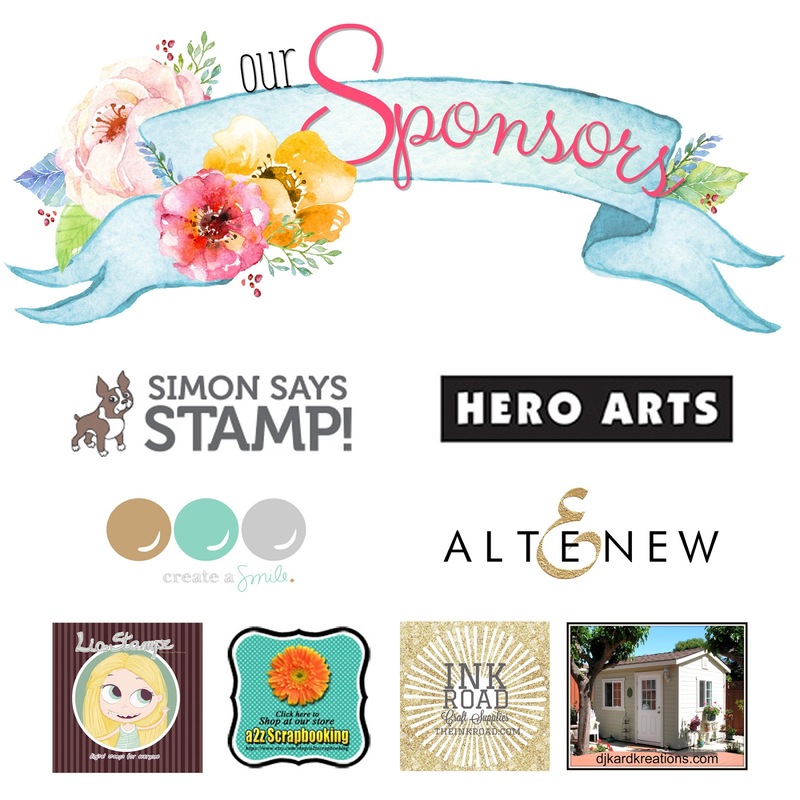 What is a blog hop without some fun prizes?! Leave a comment by 11:59 pm EDT on Thursday, October 29th along each stop in the hop to increase your chances of winning a prize from one of our sponsors: a2z Scrapbooking, Create a Smile Stamps, Hero Arts, Ink Road, Lia Stampz, Simon Says Stamp, Altenew and DJ Kard Kreations! Winners will be notified by email after October 29th. The list is long, but you must check it all out! Really amazing and talented crafters. I hope you are having a wonderful day! It's my turn to share my creation over at Craft Heaven Shop Inspirational blog. This week our theme is : celebrate. Are you ready to celebrate? I made a simple vintage/shabby looking banner, using pattern paper and other goodies from Craft Heaven Shop. Check out our design team and our monthly challenge. Really amazing and talented crafters. Thanks for stopping by! Have a great day! Halloween is around the corner. Even if I don't celebrate this holiday, I still like to create at least a project for my readers. If you like celebrating this holiday and need to create something, maybe today's project will inspire you. I made a candy corn shaker tag,using Bunting die from Sizzix. This is a large die. You will need Big Shot Plus machine. You can use this die, to create banners, but I think it works just perfect for my candy corn shaker tag. I just love it! It's my turn to share my weekly creation for Craft Heaven Shop Inspirational blog. This week our theme is : sentiment. I wish I had the beautiful Stempelglede stamps for this project. I used a sentiment from my stash, but you can find really beautiful stamps over at Craft Heaven Shop. I love making sachets! They are so beautiful and they smell A M A Z I N G! Lace Antoinette from Craft Heaven Shop is my favorite lace! If you like using lace and flowers, then please come and join our monthly challenge over here. Hope you like today's creation! Thanks for stopping by! Have a lovely day! I have something exciting to share today. 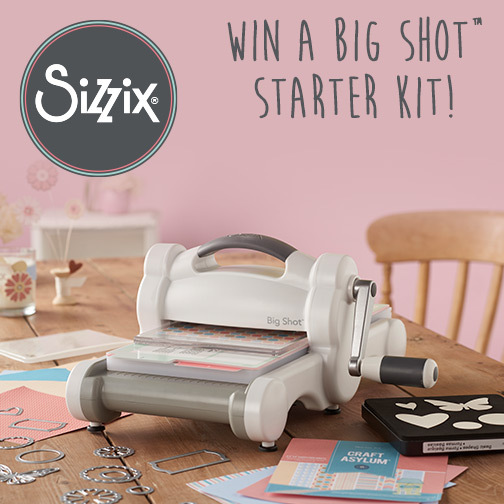 Sizzix would like to give you the chance to win a brand new Sizzix Big Shot machine. This is the starter kit. That means you get extra goodies to play with. I have this one and I love it! If you want to enter the giveaway, please click over here and enter your e-mail adress and the other details. Closing date : Friday 6th November 2015 at 10am GMT. *** Daca iti place sa lucrezi cu produsele Sizzix, atunci te afli in locul potrivit. 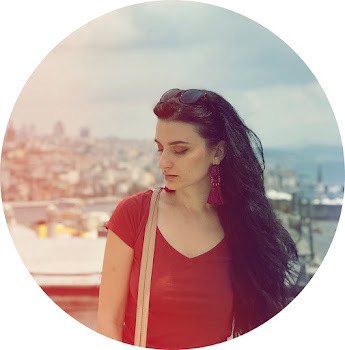 Sizzix iti ofera sansa de a participa si castiga un BIG SHOT starter kit. Daca doresti sa intri in competitie. Tot ce trebuie sa faci este sa introduci adresa de e-mail, nume si telefon aici. This week over at Craft Heaven Shop Inspirational blog we share new creations, using our favorite color combo. Well, this is pretty easy. I like purple, olive green, pink, turquoise and grey. But lately I just like using tones of yellow. Seriously don't know why! For my card, I used for the first time a Magnolia Tilda stamp. YES! I know! I'm always behind with all that great things. But you know..better late than never. However, if you love using Magnolia stamps, then visit Craft Heaven Shop. What is your favorite color combo? If you like today's creation and want to see more, visit the inspirational blog for more beautiful creations. Thanks for stopping by! Today's creation is a non-traditional Christmas card. I really love using the script dies from Sizzix. They go so nice with pretty much anything: cards, layouts, albums,etc.. I will try to create different projects with these dies, because they a must-have! Now is the right time to work on your Christmas projects. We all know know that December is a very busy month. Also, you don't want to miss this amazing SALE from Sizzix. You can find amazing projects and inspiration over at Sizzix blog. It's Lia Stampz time! Before I share the new challenge, I would like to say that big congrats to the amazing talented DT members and Lia for being published in Simply Cards & Papercraft magazine. Bravo girls! This month is going to be all about animals. I made a card using two different digi stamps from Lia Stampz. The super adorable birthday elephant and the poppies from this amazing flower set. You should check her etsy shop and support her talent. If you want to join the challenge, then please do it! You can win a gift voucher. More details and challenge over here. Thanks for stopping by! Have a great day! I hope you have great day so far. If you don't have any plans, but you want to be creative, then I would to invite you to join the new challenge over at Craft Heaven Shop. The new theme is : lace and flowers. I made a mini gift bag using lovely goodies from Craft Heaven Shop and a few other things from my stash. I really love the final result. This is a great way to give a cute little gift to someone. No need to add a card. If you transform the front of the bag,using cute embellishments, nice image and a lovely sentiment. You can keep up with all new things from Craft Heaven Shop on Facebook. They have new goodies in the shop. Can't wait to play with them.